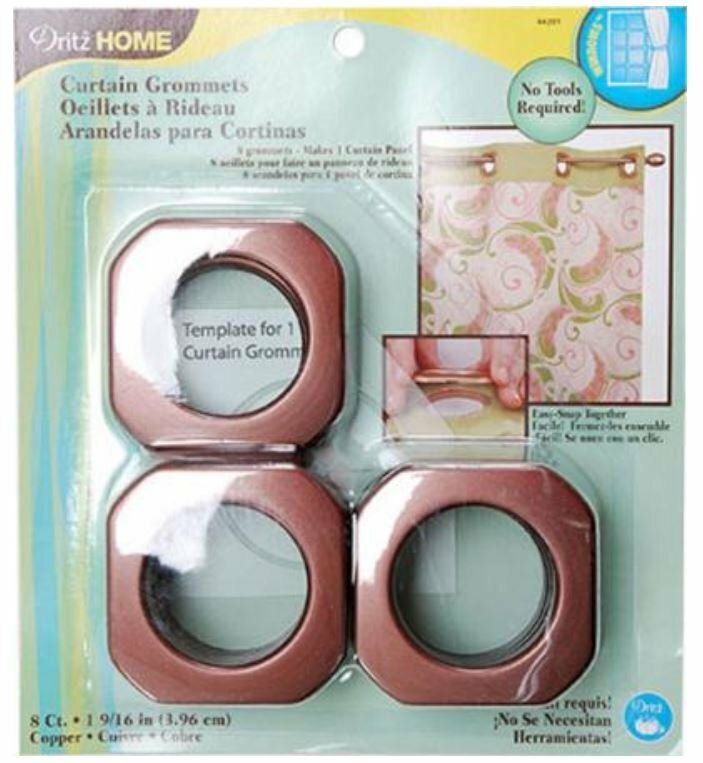 Curtain Grommets for rods up to 1-3/8" diameter. For use with sheer to drapery weight fabrics. Machine washable, do not tumble dry or dry clean. Easy to use, grommets snap together. 8 per package.